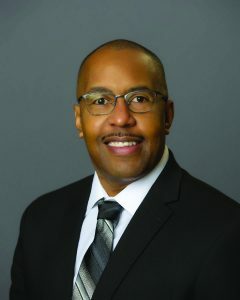 President Jeffery S. Boyd has been the President of Rochester Community and Technical College since July 1, 2018, and has a reputation as a leader with a vision for the future of higher education and a champion for the mission of community and technical colleges. A first-generation community college graduate, he previously served Tidewater Community College (VA) from 2014-2018 as the provost, chief operating officer, and lead academic and student affairs administrator of its campus in Norfolk; and Elgin Community College (IL) from 2006 to 2014 in several capacities including associate dean, interim dean, and dean of Business and Career Technologies, and he served the Quad County Urban League as director of education and employment in 2005. He’s held roles in student services for Olivet Nazarene University from 2003 to 2004, and Waubonsee Community College from 2001 to 2003. President Boyd holds an associate degree from San Joaquin Delta College (CA), a bachelor’s degree from Judson University (IL), a master’s from the University of Phoenix (AZ), and a doctorate in Community College Leadership from National Louis University (IL).